WASHINGTON (Reuters) - U.S. President Donald Trump pursued a business deal to erect a tower bearing his name in Moscow throughout 2016, his attorney said on Sunday, raising new questions for congressional investigators looking into possible ties between the president and Russia. 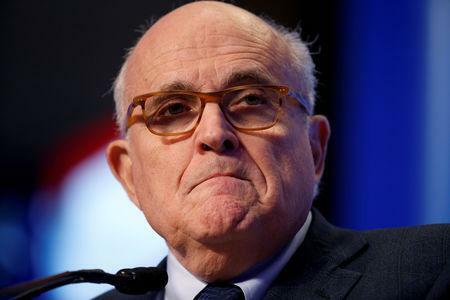 "It's our understanding that they (the discussions) went on throughout 2016," Giuliani, a former New York City mayor, told NBC's "Meet the Press." "That is news to me. And that is big news," Senator Mark Warner, the top Democrat on the Senate Intelligence Committee, also said on "Meet the Press." "It's remarkable that we're two years after the fact and just discovering it today." Trump has repeatedly condemned the Mueller probe as a "witch hunt" while denying any collusion with Moscow. Russia also denies any interference in the U.S. elections.